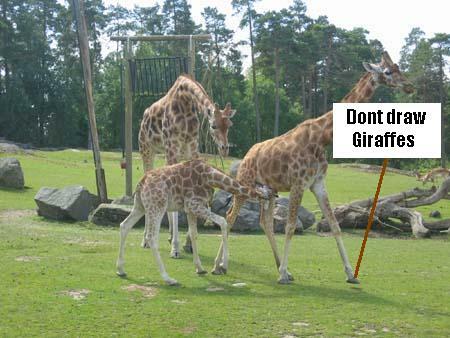 Giraffes have reacted strongly against offensive drawings of giraffes published by the evil homepage GiraffobiaDotCom. Demonstrations and strikes are planned in zoo's and reservations all over the world. This picture is from a demonstration in Svalbard giraffe-reserve. 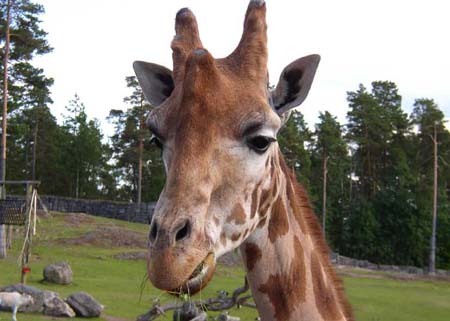 The homepage is also publishing statements that are rather offensive for giraffs but (according to the wishes of our giraffe-employees) no details will be revealed by Giraffs Without Borders. "Giraffes is the nicest and peaceful animals and we will be doing the hoof-dance on your head and eat your fingers when you feed us with grass if you don't stop with making the drawings. Very angry we are. And what with the giraffe on a stick????? 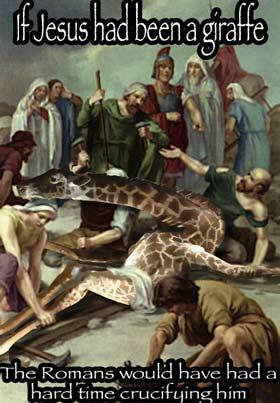 No giraffe would ever be stupid enough to let humans nail it to a stick it wouldn't."